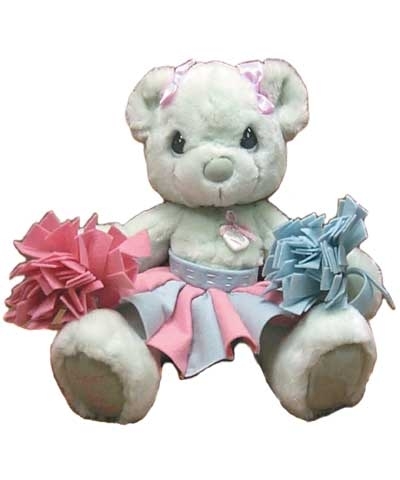 Precious Moments "Cheers To The Leader" Cheer Bear. She has a porcelain Heart bearing the Precious Moments logo. At 15" tall, she is chinchiila soft.